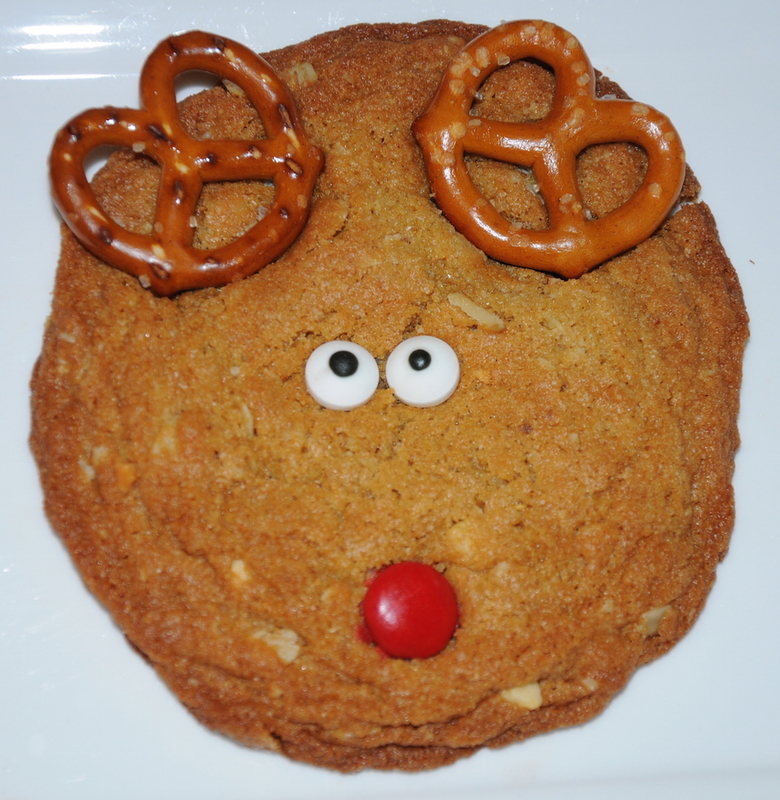 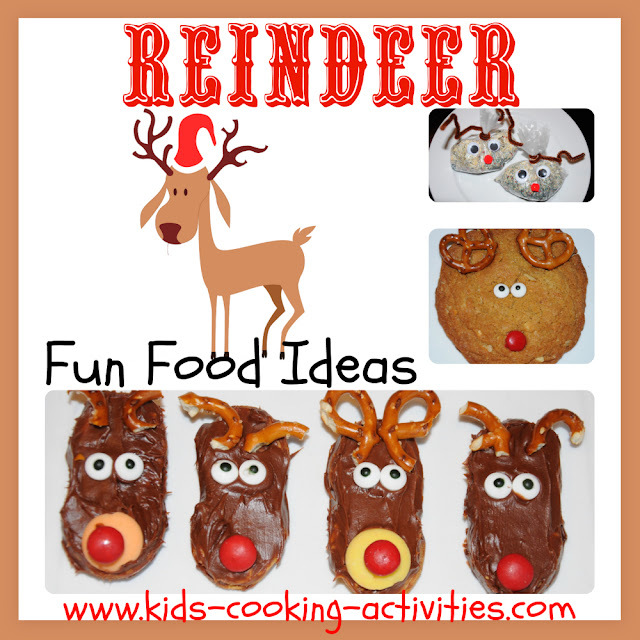 Try any of these Reindeer Theme Food Ideas to get the kids busy Christmas baking. 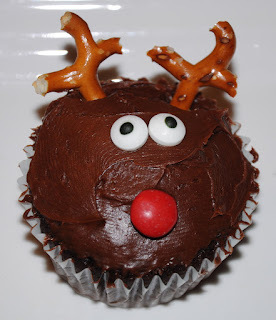 An easy cupcake decorating idea for Christmas. Pretzels for antlers, broken in small "antlers"
Spread over top of a cookie and place on waxed paper. 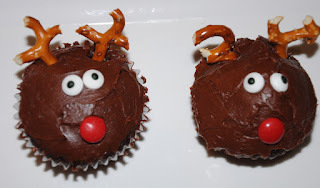 While chocolate is still 'wet' quickly add eyes, nose and antlers. Allow to dry for several hours or place in the freezer for a quicker process. 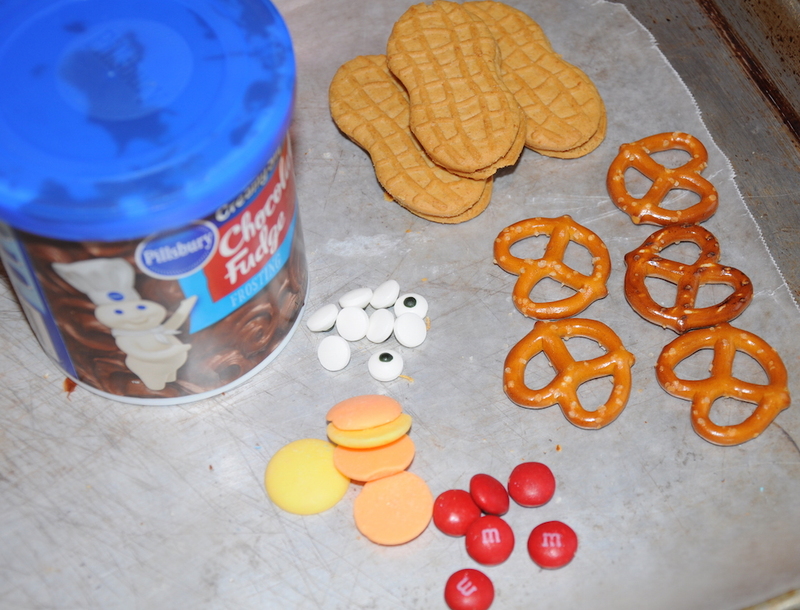 Add ingredients together. Divide into small plastic baggies. 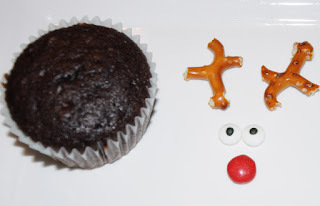 Seal with a twist tie or rubber band. Then wrap brown pipe cleaners for antlers around the twist tie. Glue googly eyes and a red pom pom for the nose. ***Note this is to feed the reindeer outside not for kids to eat! 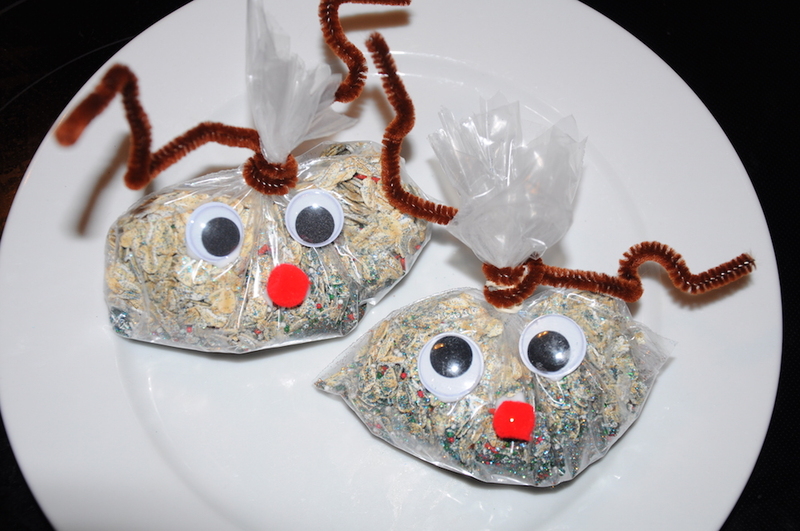 Print off a little note to spread the reindeer food outside on Christmas Eve to attract reindeer. See our directions on making cake pops. 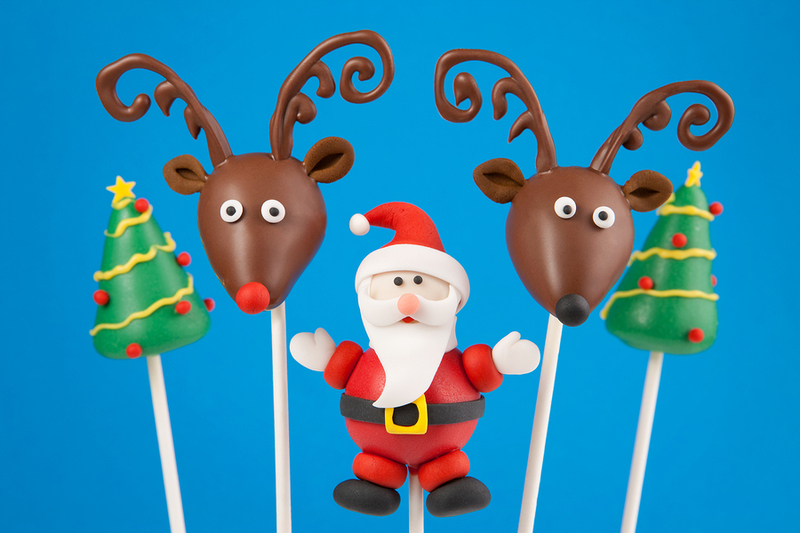 Making reindeer heads with the cake pops is all in the shaping before you dip it in chocolate. 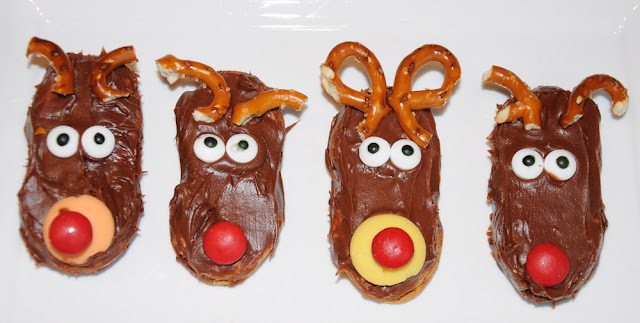 Make it extra easy by adding pretzel antlers, candy eyes and a red hot nose while chocolate is wet.